A man was hospitalized after being bit by a gator in Clearwater. Fire officials in Clearwater hauled and secured a 10-foot alligator from a lake after it bit a man while he was playing disc golf at a park. A 35-year-old man was hospitalized and sustained non-life threatening injuries after he tried to retrieve a disc from a pond Monday at Cliff Stephens Park, according to Clearwater Fire and Rescue. 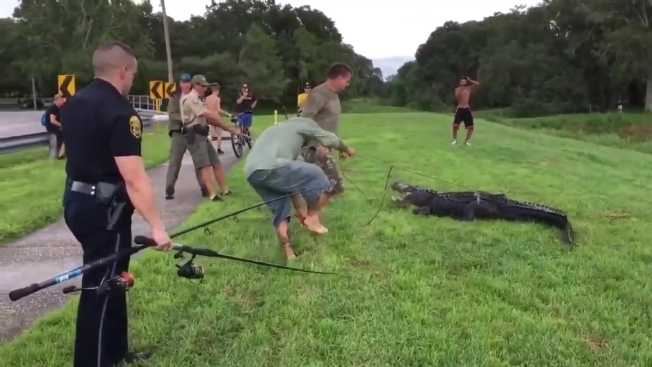 Trappers and the Florida Fish and Wildlife Conservation Commission hauled the gator from the lake and loaded it into a trailer.